Participatory design initiative to find new ways of repurposing retired smartphones. How can we raise awareness of the potential that retired smartphones have? As big corporations create new models of smartphones each year, many capable yet less desirable retired smartphones pile up. While many of these still work and have usable sensors, most of them remain unused or worse yet, end up in landfills. 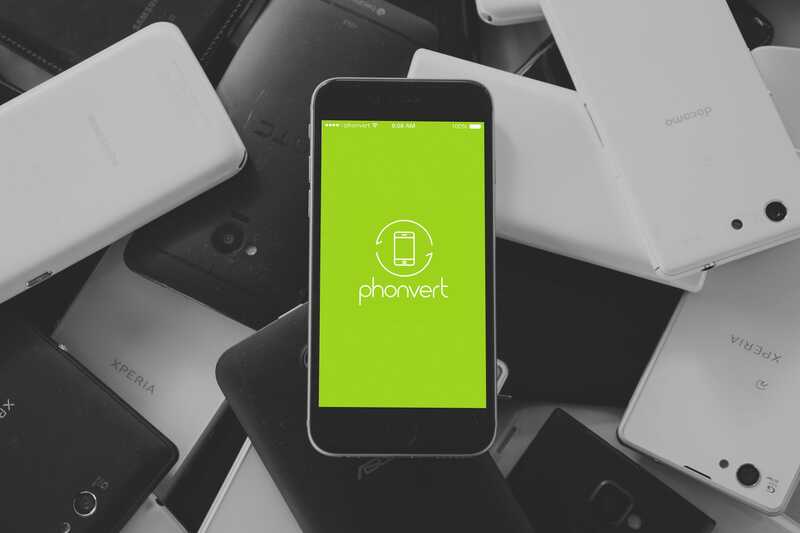 Through spreading the word phonvert (phone + convert) this project is building a movement and a community that is dedicated to finding alternative usages for old smart phones. Idea to use retired phone as a way to know what is inside the fridge. Video with proof of concept ideas to communicate what retired smartphones can do. 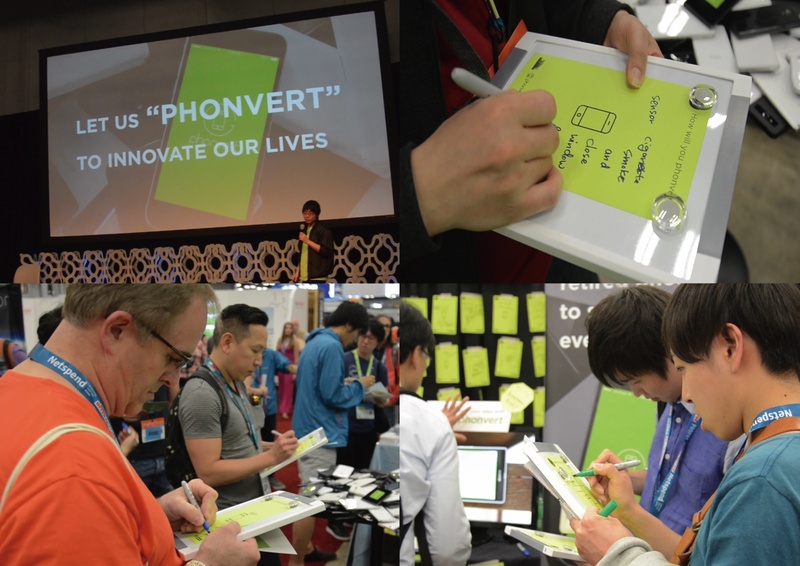 In order to raise awareness of the issue we hosted guerrilla workshops at big tech-conventions such as SXSW where endless streams of smartphones are presented every year. Since the launch on 2015 the initiative conducted workshops around the world from Tokyo to Paris to encourage people to come up with new ideas to up-cycle their old smartphones. Stacking a pile of old smartphones and hosting a workshop behind the venue where huge tech companies were presenting their new smartphones. Community of people working together to repurpose retired smartphones. From a microscope for smart diagnostics in Uganda to an earthquake monitor in Japan, people who up-cycled smartphones in new ways connected from around the world. This initiative was acclaimed internationally and was exhibited at Design of the Year 2016 at the London Design Museum and at V&A Future Starts here. Running NIED's earthquake monitor on your old phone let's you know real-time warnings in Japan. Currently me and one another developer are developing a new application to sketch context-aware-interaction by combining retired smartphones with object recognition. More info is to be released soon! Collaborators » Keisuke Shiro, Kosuke Takahashi, Seibe Takahashi, Nagomu Sugimoto, Yumiko Kishi, Nirav Malsattar, aaand to all those who joined our workshops.